ASSE 1001 – Atmospheric Vacuum Breaker (AVB) | Backflow Solutions, Inc.
An AVB resembles a 90-degree elbow with a hood on top. Internally, there is a poppet check that is pushed closed against a check seat by the incoming water supply allowing water to travel through to its intended use. When the supply water pressure is lost, the poppet check drops into the open position venting to atmosphere. Because of this operation, the AVB is only to be used to prevent backsiphonage and is not to be installed where backpressure is possible. 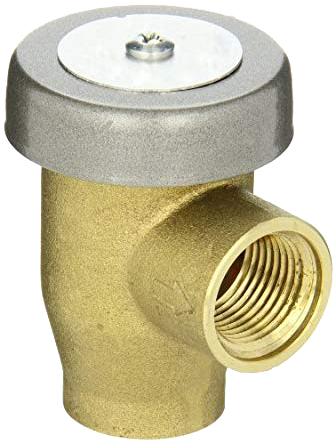 Because backpressure is not allowed, no downstream shutoff valves are allowed and the AVB must be installed a minimum of 6 inches above the highest point.